MMO MMORPG News·Articles·Shotgun News 12/4: Runescape, GunZ 2, Darkout, and More! After beginning the beta in North America Blacklight: Retribution has made its way to European shores on the Playstation 4. 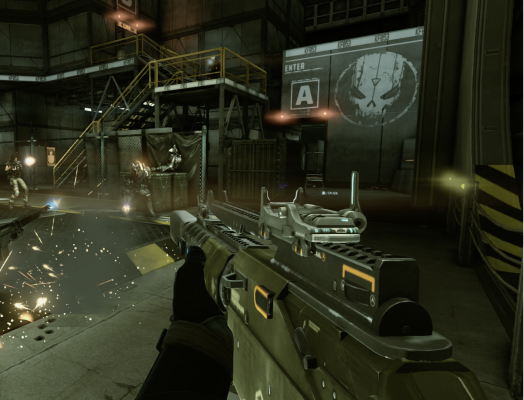 The free to play first person shooter is available without a Playstation Plus subscription. Players of Runescape have come together to donate $90,000 to seven different charities. The money will go to the Willow Foundation, SpecialEffect, Action for Kids, Games Aid, Internet Watch Foundation, HART, and the DEC Philippines Typhoon Appeal. Indie micro studio Allgraf has announced their sandbox PC sci-fi action game Darkout is available on Steam for $14.99/€11.99/£9.99. Players must survive on Illuna, a post-apocalyptic world which has been horribly transformed. For more on it see the trailer below. ProSiebenSat.1 has launched a large scale community beta event for GunZ 2. There will be several updates in the coming weeks as well as competitions and events. Registration is going on now on the official website. Team based multiplayer shooter Tactical Intervention is entering the eSports scene with the first ever Tactical Intervention Winterclash Tournament. It will take place online on December 21st and is open to players across Europe. Teams will face eachother in bombing scenarios across several maps. And the winners will take home cash prizes.